Illusions, sparkles and flowers. An intense and sensual trifecta capable of giving life to a dress like this. 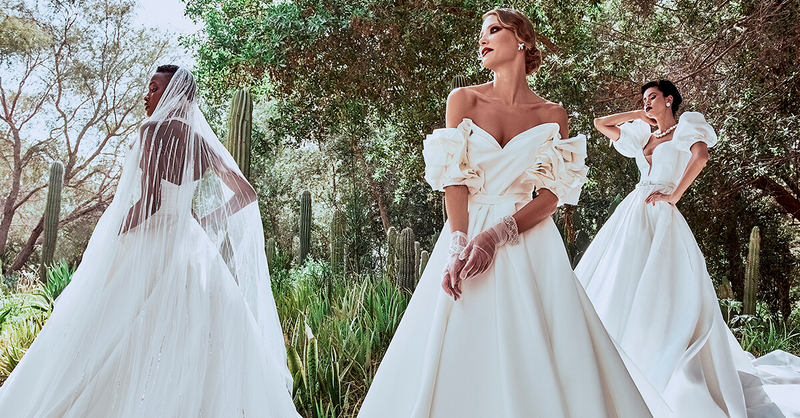 A very full skirt, with a natural waist and pockets, crafted in Kelly mikado with embroidered and beaded appliqués, paired with a sensual long-sleeved bodice with an off-the-shoulder neckline that plays with sheer effects and crystal tulle illusions to create a tattoo-effect.